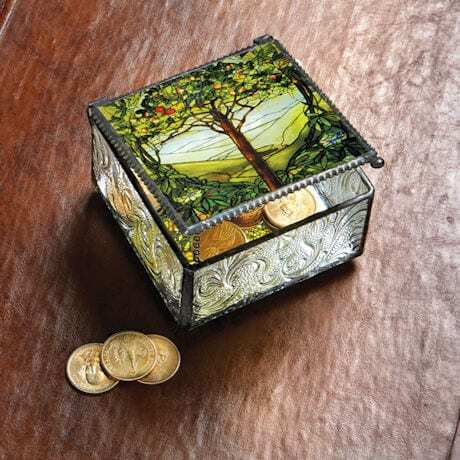 An exceptionally beautiful, endlessly useful little box. 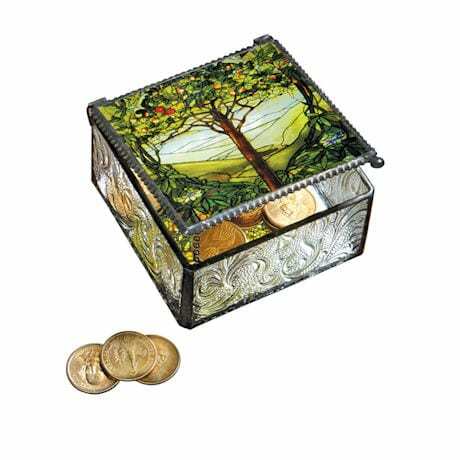 The top features Louis Comfort Tiffany's iconic "Tree of Life," kiln-fired so it will never fade and edged with tiny copper beads. The sides are patterned pressed glass, and the inside bottom is mirrored. 4" square, 2 ½" high.